Dr Puhl graduated from medicine at the University Kiel, Germany in 2000. After completing his basic physician’s training in Sydney he commenced his neurology training in Germany at the University of Luebeck for 2 years where he gained experience in general and acute neurology as well as in the use of ultrasound in stroke and movement disorders. He returned to Australia and completed his neurology training followed by a Fellowship in Neurophysiology at the Department of Neuroscience at the Concord General Repatriation Hospital in Sydney. Dr Puhl is a general neurologist and has subspecialty interests in clinical neurophysiology, stroke and movement disorders in addition to the use of botulinum toxin in a variety of neurological disorders including dystonia, spasticity, hyperhidrosis and migraines. He has expertise in the use of ultrasound for carotid Doppler and duplex scanning as well as transcranial sonography in vascular disease and movement disorders. 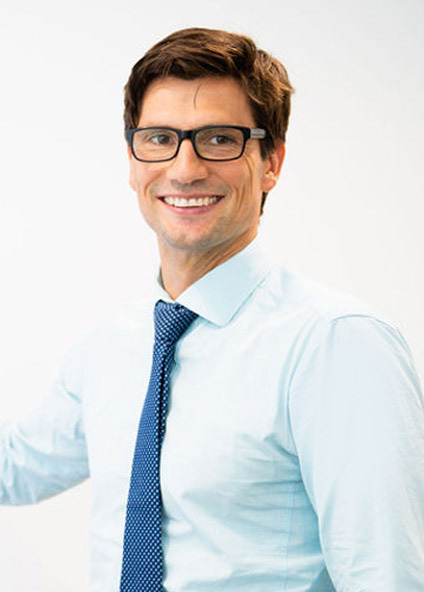 Dr Puhl is a Consultant Neurologist at the Northern Beaches Hospital, Sydney Adventist Hospital, Wahroongah, and Hornsby Ku-ring-gai Hospital. Peter works i our Dee Why clinic on Monday and Wednesdays.